To use this release candidate build, simply download the file from the link given above and double-click on the file to open the installer. Follow the instructions to install. The release candidate sits alongside the Mac App Store version and will not interfere with it. This build is an iteration of the current App Store release and should be used in preference to the App Store release, if you are affected by any of the issues listed below. TIFF loading fixes and improvements. Live Filters redraw issue fix. Fixed frequency separation macro radius. Improved lens correction and updated database. Develop shadows / highlights improvements. PSD, PDF import / export tweaks. Significant Photoshop plugin support improvements (courtesy of Affinity Windows team). Fixed crashing bug when exporting certain large PSDs. Fixed a number of UI memory leaks. Fixed PSD export of Fill layers. Fixed UI labels on macOS versions prior to Mavericks. SVG import can now handle gradients with missing x1 or y1 values. What a gift! Many thanks, first bug I see is that it wasn't yesterday as we (users) love affinity! Shift-drag marque tool (square selection) is broken again: sides are not equal in some orientations. 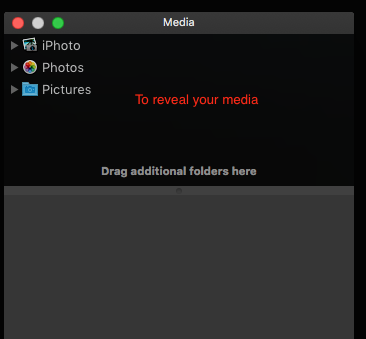 Was trying to load a folder into the media browser but the header where one see the already loaded image folders was no longer there. Is there a setting that I am missing or is this an issue? 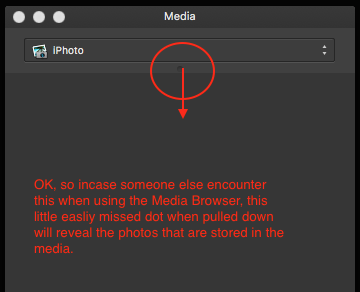 Unfortunately, metal is still not supported on an iMac, which means that Affinity Photo on an iMac is much slower on some filters than, for example, a Macbook Pro (this bug was also mentioned in the magazine "mac and i" by Heise in the test of an iMac Pro). "Affinity Photo distributes its calculations much better on CPU and GPU than Photoshop. The "Red Lights" macro processed the 100 MPixel image on an iMac Pro at full load on all cores, 30 percent faster than the i7 (56 seconds instead of 81 seconds). Because of a bug the application uses only OpenGL instead of Metal on both iMacs." The bug has been known for some months and it would be nice if it could be fixed until the release of the new version. I wasn't able to download the new RC yet, but in the last beta the Perspective Live Filter Layer was buggy: I couldn't change source/destination; whenever I tried to switch it just turned it back to the original setting immediately. I have not seen this before but after some investigation I discovered the following. Thought I would share just in case someone else comes across this same issue.